Could new regulations for Natural Health Products in Canada put your favourite supplement at risk? How do you know your supplements are safe? 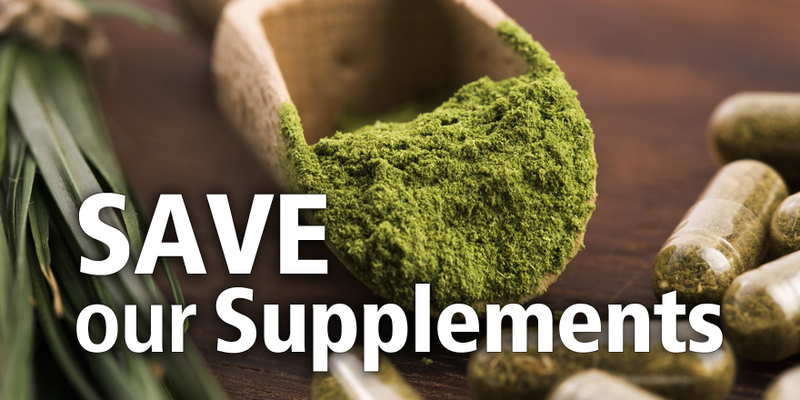 When you walk into your local health food store, you can find all kinds of safe, effective and high-quality supplements, vitamins, minerals, probiotics, herbal products and traditional medicines. All these products make up the category of natural health products (NHPs) that you and 77 per cent of Canadians use for the maintenance of good health. These NHPs could include vitamin C to reduce the duration and severity of the common cold. Or a probiotic to keep your immune system primed and ready to combat those winter bugs. Or vitamin D, since there are few natural dietary sources and because supplementing with vitamin D is almost universally recommended, particularly for those in greatest need, such as infants and the elderly. Whatever NHPs you choose, it is important to know Canada is a global leader in the regulation of these products. The Canadian approach to regulation is often referred to as a “pre-approval” system, which means that all NHPs must be licensed by Health Canada before they are allowed to be legally sold to Canadians. How do you know your supplements are going to work? Currently, when you buy an NHP at your local health food store, you can be confident knowing that the company selling that product has provided evidence to support any health claims made. No NHP can be licensed for sale in Canada without providing evidence to support the claims being made. Evidence can come from a variety of sources, such as modern studies and traditional sources, including pharmacopoeias (books published by a government, medical or pharmaceutical society) and references supporting the traditional use of products like Traditional Chinese Medicine or herbals. Each product that is licensed receives a Natural Product Number (NPN), which is printed on the package. You can look up this NPN in Health Canada’s online database, which provides details, such as what is in the product, and what claims have been approved based on the evidence submitted and reviewed by Health Canada. Health Canada is now proposing changes that could significantly alter the way NHPs are regulated based on, it appears, a single consumer survey and only six weeks of consultation. This proposal is trying to fix a system that is not broken and will be a step backward instead of forward. Our current regulations take into account the unique properties and low-risk nature of these products, ensuring that you have access to NHPs that are safe, effective and high-quality, while respecting your freedom of choice, and the philosophical and cultural diversity of our country. This proposal is suggesting that Health Canada will no longer review some of the products before they are sold, and would require a disclaimer on labels to the effect of, “Health Canada has not reviewed for safety and efficacy.” Additionally, current claims about the products’ use may no longer be allowed and would be removed from the label. This could limit the amount of information you receive about the products you use. While reducing oversight on some products, the proposal is suggesting increased oversight on others. These products may require a level of evidence similar to what is needed for drugs. Requiring this level of evidence, necessary for products developed in a lab, is not reasonable for NHPs when considering their safe nature and long history of use. This will result in the loss of some products from store shelves. These proposed changes will require companies to begin investing in substantial research for ingredients we know work based on historical use and traditional sources. This means the cost of bringing these products to market will increase, resulting in increased costs for you. We need your help. Please visit chfa.ca right now to send a message to your Member of Parliament, letting them know these proposed changes are unacceptable. It will only take you one minute and will make a big difference in helping to ensure you continue to have access to the NHPs you know and love. Apple, PC, HD, DM: No, we are talking about Healthcare!